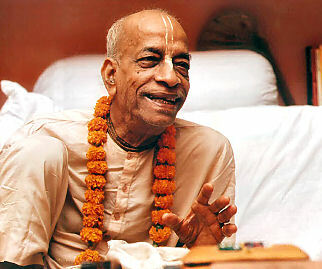 Mar 12, UK (SUN)  I want to address an issue that has become somewhat of a burning issue within ISKCON. This issue is whether or not it's okay for a neophyte devotee to become a spiritual master. Obviously, it is not ideal that a neophyte devotee becomes a spiritual master. Anybody in their right mind would want to have a pure devotee as a spiritual master. Why? The answer is completely obvious: only a pure devotee spiritual master can give the most expert guidance. The guidance of a neophyte devotee will naturally be imperfect and insufficient, due to the imperfect vision of such a neophyte spiritual master. A neophyte may become attracted to his female disciples, or he may be bewildered by monetary considerations. He may have insufficient knowledge of the scriptures or be motivated by false prestige, desire for worship and adoration. 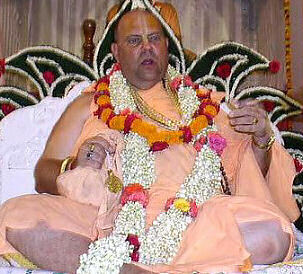 Even so-called advanced devotees fall prey to these obstacles in devotional service, what to speak of neophyte devotees. If such a neophyte spiritual master falls down, he brings discredit upon his own spiritual master and on the sampradaya in general, as well as causing a loss of faith amongst the general mass of devotees. Gradually devotees will become cynical about taking a spiritual master, and they will lose faith even in the great acharyas. People often argue that in the absence of a great acharya, it's okay or even necessary for a neophyte devotee to take on the role of spiritual master. First, however, one must check to make fully sure that there aren't senior devotees who are actually qualified to be spiritual masters. Before the neophyte devotee jumps in, he must make fully sure that he is not committing the offence of maryada-vyatikrama, or being insolent in front of a senior personality. Being a spiritual master is not a game for everyone to play. It is not something that everyone gets a turn at. "Now it's my turn." This is not the mentality in which one becomes a spiritual master. On the contrary, such a competitive mentality leads one to becoming a spiritual monster. There are numerous references in scriptures to the importance of accepting a pure devotee as a spiritual master, such as in Kapiladeva's instructions on devotional service, Srimad Bhagavatam Canto 3, Ch. 28, Text 2, wherein Kapiladeva instructs His mother Devahuti. "One should execute his prescribed duties to the best of his ability and avoid performing duties not allotted to him. One should be satisfied with as much gain as he achieves by the grace of the Lord, and one should worship the lotus feet of a spiritual master." "In this verse there are many important words which could be very elaborately explained, but we shall briefly discuss the important aspects of each. The final statement is atmavic-caranarcanam. Atma-vit means a self-realized soul or bona fide spiritual master. Unless one is self-realized and knows what his relationship with the Supersoul is, he cannot be a bona fide spiritual master. Here it is recommended that one should seek out a bona fide spiritual master and surrender unto him (arcanam), for by enquiring from and worshipping him one can learn spiritual activities." Srila Prabhupada clearly says here that one cannot be a spiritual master without being self-realized and knowing one's relationship with the Supersoul. These are very high qualifications indeed, but Srila Vishvanatha Chakravarti Thakur gives even higher qualifications for the spiritual master in the Gurvastakam, which we sing every day. According to the Gurvastakam, the spiritual master is the assistant of the gopis. A neophyte spiritual master obviously cannot claim such a qualification, even by association, and to imagine that such prayers as the Gurvastakamor Sri-guru-carana-padma, which is sung at guru-puja, can also be addressed to neophyte devotees is a great mistake. 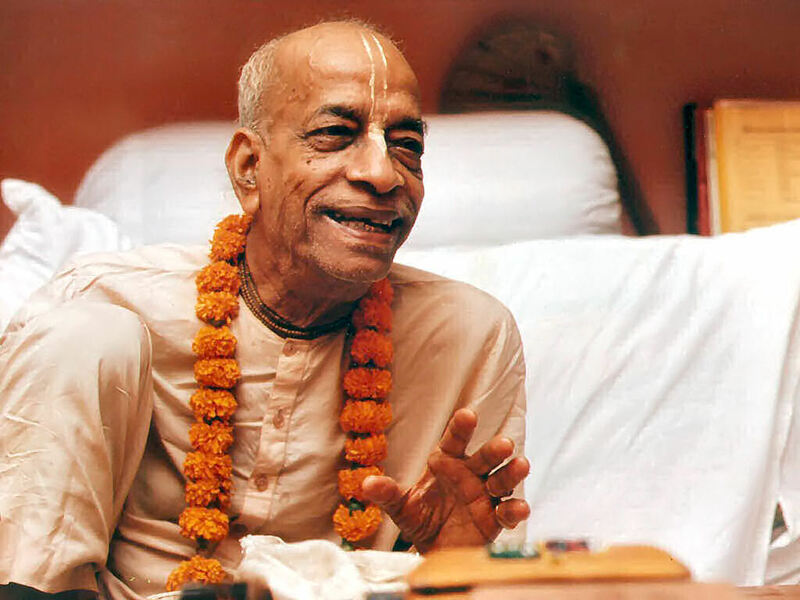 It is clear that such neophyte spiritual masters cannot be ranked on an equal level with genuine, or as Srila Prabhupada refers to them, bona fide atma-vits. One should not treat the spiritual master as an ordinary human being, for he is the substitute for the Supreme Personality of Godhead (Bhäg.11.17.27). One should treat the spiritual master as the Supreme Personality of Godhead and never be envious of him or consider him to be an ordinary human being. Conversely, an ordinary human being should not impersonate a bona fide spiritual master, for such is merely cheating. If a spiritual master cannot direct his disciples to become free of sinful activities, he becomes responsible for their sinful acts. 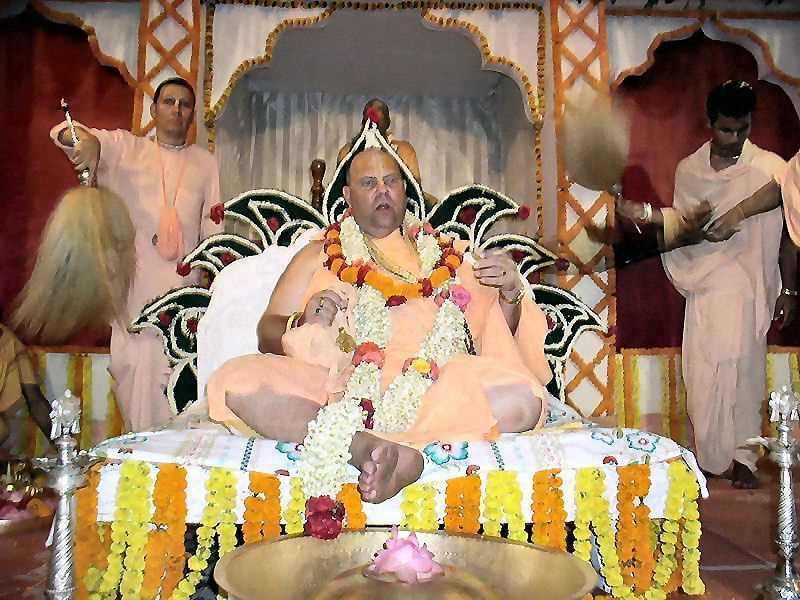 These subtle laws of nature are obviously unknown to the present leaders of ISKCON who wantonly encourage neophyte devotees to become spiritual masters, as if it were some kind of promotional step in the management of the society. The spiritual master is a representative of Narayana, the Supreme Personality of Godhead. Can a representative of God be chosen by a mundane body made up of speculative individuals who are not self-realized? The answer to that is "No!" 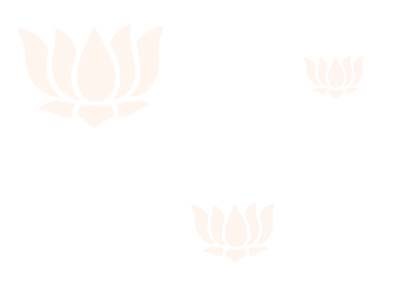 The representative of Narayana is chosen by Narayana Himself. Such is as it should be, and no amount of material wrangling will change things. God chooses his own representatives, and to imagine that a representative of God can be chosen by a mundane body is another form of atheism. Currently the GBC maintain, so I am led to believe, that their rubber-stamp of approval is not actually a stamp of authorization but more of a "we have no objection", in other words "take him at your own risk." Such a stance is not only irresponsible, but also relativistic. In other words, the GBC are saying that the spiritual master may be an ordinary man, we can't guarantee that you won't be cheated. What then, we may ask, is the value of their stamp of approval? And, what has been the success rate of those who have been officially approved by them? If your spiritual master steals your money or rapes your wife, you cannot come back to the GBC for redress, because they have conveniently sidestepped any real responsibility. This kind of guru-lottery makes a mockery of the divine sampradaya consisting of such great and inimitable spiritual personalities as the Six Goswamis, Srila Visvanatha Cakravarti Thakur, Srila Narottama dasa Thakura, Baladeva Vidyabhusana, Srila Bhaktivinoda Thakura, Srila Bhaktisiddhanta Sarasvati and His Divine Grace A.C. Bhaktivedanta Swami Prabhupada, the mere mention of whose names purifies one's very existence. Since I entitled this paper a "brief" expose, I shall keep it brief, but there is sufficient scriptural evidence to completely demolish the GBC standpoint, which is evasive and unclear. Their arguments shift from year to year, indicating that they have no foundation. Srila Prabhupada often makes it clear that institutionalized spiritual masters, who become spiritual masters on the basis of convention alone, such as Sukracarya, should be rejected in favour of genuine self-realized souls. If you happen to be in the unfortunate position of having been rubber stamped without possessing the requisite qualifications, my suggestion to you is as follows: don't try to kid your students that you are what you are not, and refer them to the genuine guidance and instruction of those who are genuinely qualified. Otherwise, your fate will definitely be to hit the ground, which is Krishna's supreme mercy upon you, since the ground is the most sobering place to be. So all you would-be gurus, be warned!! Adi 7.115 In this connection the Padma Purana states, arcye visnau sila-dhir gurusu nara-matir vaisnave jati-buddhih: "One who considers the arca-murti, the worshipable Deity of Lord Visnu, to be stone, THE SPIRITUAL MASTER TO BE AN ORDINARY HUMAN BEING, and a Vaisnava to belong to a particular caste or creed, is possessed of HELLISH INTELLIGENCE." One who follows such conclusions is doomed. Wich spiritual master do you like?